OAK STEEL LIMITED was found since June 18, 2008 in Hong Kong, and mainly engaged in international trading for stainless steel material and products, our annual sales amount is 30 million USD dollars. In May 2010 year, the wholly owned subsidiary company "Shenzhen ZhongChuangYu Steel Industry Co., Ltd " was set up in Shenzhen. In June 2013 year, we holding the stainless steel manufacturer "Guangdong Guanchang Steel Co.,Ltd", which has 10 year stainless steel producing experience. 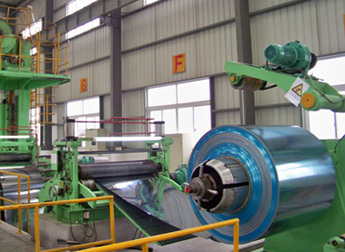 Guangdong Guanchang Steel Co., Ltd is the large manufacturer of stainless steel in china mainland, combine with OAK STEEL LIMITED in many years experience of international trading; we are trade and industry, providing good quality with competitive price to the international stainless steel buyers. OAK STEEL LIMITED was found since June 18, 2008 in Hong Kong, and mainly engaged in international trading for stainless steel material and products. In May 2010 year, the wholly owned subsidiary company " Shenzhen ZhongChuangYu Steel Industry Co., Ltd " was set up in Shenzhen. In June 2013 year, we holding the stainless steel manufacturer "Guangdong Guanchang Steel Co.,Ltd" , which has 10 year stainless steel producing experience.